Our lean methodology is geared towards delivering great outcomes for both your business and your customers. At the heart of everything we do is our desire to engage the people that use or should be using your products and experiences without getting in the way of delivery. 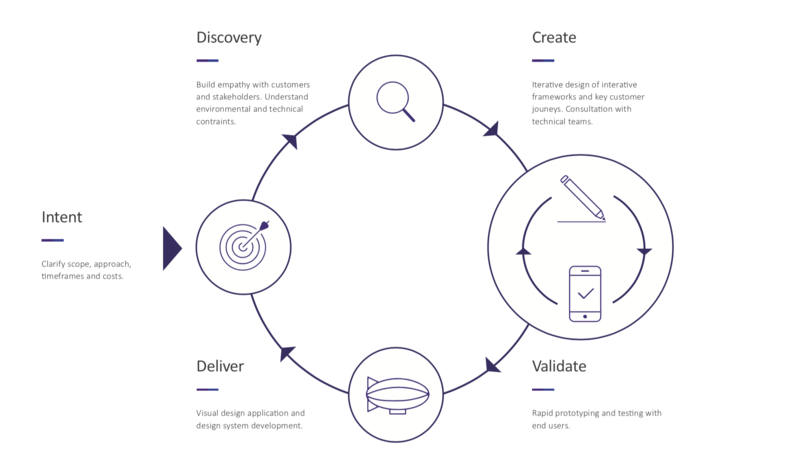 Our methodology is iterative, collaborative and agile by nature and can be fined tuned to meet the needs of your project.